Moving your phones to the cloud and need to decide whether to lease, buy, or rent? Should you lease, rent or buy your new VoIP phones and equipment? If you’ve been looking for a Cloud Based PBX you’ve found that you’re faced with a question of how finance your new UCaaS equipment. There are many factors to consider. There are 10 key considerations to help determine the best course of action to finance your new phone system. Some factors include your business’s accounting methods, other forecasted IT initiatives, interior network, and more. Contact us via email at sales@cloudogre.com to request your UCaaS questionnaire. Should You Rent Your Phones? Pros – The liability for the equipment is on the carrier and not the customer. It’s more of a managed service. 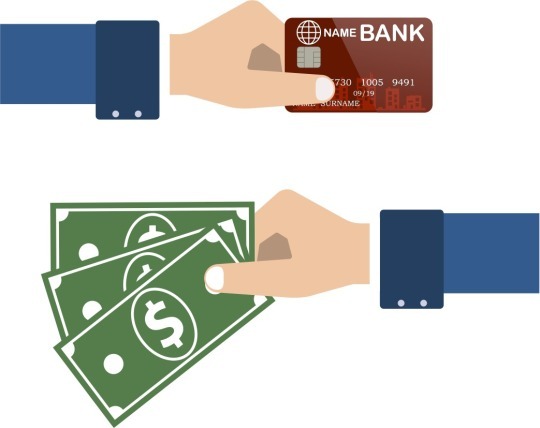 You don’t have to shell out cash upfront either. Cons – You’ll pay a premium for the additional service but it’s negligible compared to the cost of equipment. Should You Lease The Phones? Pros – You’ll own the equipment at the end of the lease term for $1. Your monthly cost will then go down significantly. Again, our UCaaS questionnaire is providing for free and is a great tool to determine whether you should lease your phones. proprietary equipment that doesn’t work with platforms from other carriers without some additional work… Kinda like ‘jailbreaking’ a cell phone to accept multiple carriers. We won’t help you take that route and certainly don’t recommend it. Should You Buy The Phones? Pros – You get to amortize and/or depreciate the value and own the equipment outright. Your monthly service will be much lower than a lease or rental option and warranty will cover any defective phones or switches. Cons – You have to shell out cash up front for the equipment and warranty doesn’t cover everything. We can help you go over the decision and the pros and cons that pertain to your environment. Companies making equipment purchases should not be worried about whether or not they can afford the change, it will pay for itself… Quickly. That said, how to finance that purchase can have an impact on your profitability, taxes, cash flow, and more. When you’re considering a purchase of 50 or more phones over multiple locations you’re going to need to consider your connectivity options and their cost as well. Make no mistake about it, moving to UCaaS is an investment in your business and it will definitely produce a measurable return. Again, email us at sales@cloudogre.com and we’ll send you our 10 question UCaaS questionnaire to help make your decision of whether to rent, but, or lease your new phones. Choosing a UCaaS provider or Unified Communications as a Service is more difficult with today’s competitive landscape. There are so many choices of provider and various ways to implement your solution. Most PBXs pre-date mobile’s rise and therefore many companies are not able to take advantage of the robust feature set. Below are five areas most companies are missing out on by not using their virtual PBX to its fullest capabilities. Administer your own cloud based phone system – No need for outside vendors to handle moves, adds, or changes. These can be done in an instant with a cloud based telephony solution. Schedule Based Routing – Set up call routing on the fly for holidays, inclement weather, seasonal swings in business, etc. You can do this from your app and do not need to be on site to administer. Bring Your Own Device / BYOD – Allows users to bring their own iPad and android tablets into the work environment. In addition, users are able to send texts directly from their work number on their devices. Twinning – Easily move calls between phones on multiple platforms. Ever have a conference call run longer than expected when you need to hit the road? Leading cloud based solutions allow you to take that call on the go by seamlessly moving it to your cell phone, or mobile application. No reason to hang up, transfer, or call back. Call Logs and Messages- with real time reporting features companies are able to access real time call data and set alerts for faxes, voicemails, missed calls, and texts. These systems are less expensive to set up and maintain, as well as, more user friendly. Implementation is key. You’ll want the right service provider and the right implementation team to manage your migration. 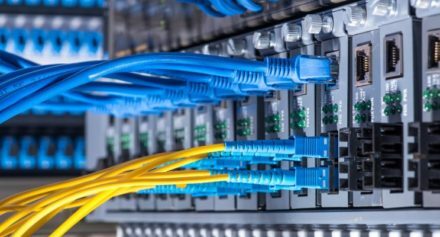 Why is the right connectivity at your data center so important? The adoption of cloud based and hybrid environments have data centers changing their strategy. Recently both Verizon and CenturyLink sold off portions of their data center business. With the rise of companies like Amazon Web Services, data centers are looking for other ways to add value to their customer. Data Center alternative bandwidth and connectivity, including diverse paths and points of entry is crucial. Most data centers are now selling a cloud environment they built to profit from their additional capacity. Whether traditional a traditional power, ping, and cage or a cloud environment, the right connectivity is crucial. Some data centers were able to charge a premium for their ability to reduce latency through geographic proximity for certain industries. Today’s customers want to know how much per meg for bandwidth, where’s the nearest IP router, and how many diverse paths do you have? All of these are essential but with all of the carriers available at the data centers, how do you know you’re getting the best price, on the most diverse route, from the provider who actually owns the right to service the wire? After all a 30 year IRU goes on the balance sheet as an asset and you’re in IT not accounting… and certainly not legal. Some data centers don’t have many options and there are Tiers that regulate diversity in power, bandwidth, cooling, etc. Geography and Right of Ways can dictate a data center’s ability to be diverse. Data Center operators do their best to get the right pricing but a mistake can be crucial, locking them into a price for a long term… Long enough to no longer be competitive and shift with the market’s rates. It’s my opinion that carrier agnostic data center operators provide the most value to the client. In addition, carriers that build out on spec rather than waiting for orders are typically more progressive and have tools to give them an edge on their opponents who are also selling bandwidth. Today’s carriers are going as low as twenty-five cents per meg in data centers although some operators are still locked in at rates between $3-7 per meg wholesale. Those rates make solutions like AWS make more sense even though your bandwidth costs in an AWS environment can fluctuate from month to month. When other soft costs like travel to and from the data center and downtime associated with swapping out parts, running cross connects, etc., are factored in, that high bandwidth cost can really alter a company’s strategy. It’s always helpful after getting your bandwidth turned up, to do a trace route to determine the path redundancy and ensure you get what you ordered. It’s relatively easy to cancel a newly installed circuit in a data center but that’s for a customer. The data center itself will typically eat the cost of construction or guarantee a long enough term for the build out to make sense for the carrier. In my experience that always worked out best when said data center works with its anchor tenant to establish a mutually beneficial arrangements for the customer, carrier, and data center. IT teams need help when moving or opening new offices. An office move or cloud migration can be quite complex. It’s not like moving your home or apartment. Although that is difficult, moving an office is a concerted effort that makes a personal move pale in comparison. Leveraging your support is imperative. 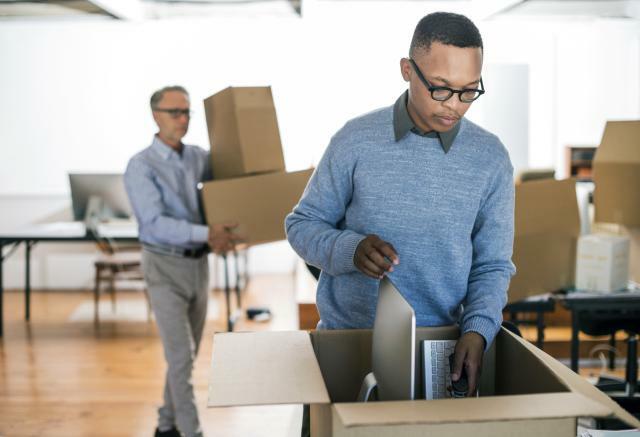 IT teams are the greatest resource companies have today in order to support the office move because moving furniture is easy… Moving tech services is a whole new ball game. Some of the items to consider are your ISP and phone provider. Using a cloud based UCaaS system makes life easier than a traditional PBX regardless if that’s using SIP, PRI, or even POTS to get to the PSTN for dial tone. PRIs, SIP, and POTS are similar to the problem many customers face with their ISP during a move… They still need to get the wire into your office. ISPs are not available everywhere. Each has its own unique footprint even down to the floor in the building. Recently, we had two carriers with a site on their LIT building lists that wasn’t actually LIT. Many times providers are only lit to a floor in what we call a homerun shot, leaving them unable to provide service to customers on other floors or offices without a completely new build. What makes this most frustrating for a company during a move is that many times you won’t know this ahead of time. Unfortunately, carriers don’t always keep good records of where their facilities are located. Hence the need for physical site surveys. There have been countless situations where a company orders from an ISP only to find out weeks later that their order is ‘on hold’. Not every ISP will take an order they can’t fulfil but most will, leaving IT departments with no answer for their C-Level folks when it comes time to explain why their move date won’t be met. When working at ISPs I’ve seen countless situations where sales people struggling to make quota will take an order and have it sit in the system until they can find other companies to sell to in order to get facilities built out. I’ve never met a customer that was happy to be in this situation. In today’s environment, ISPs are crucial to a business… especially when moving offices. Without internet access employees are stuck twiddling their thumbs and there is little to no productivity. Access to cloud based applications like Salesforce.com or other CRMs, VoIP, and VDI are unavailable without bandwidth. That said, leveraging expertise to ensure a timely and successful move project can be the difference between meeting your date and being in the precarious position of asking a former landlord to extend a lease to an office that, 9 times out of 20, has already been rented to another tenant. Our value add is a project management system that ties in directly with our carrier’s processes. Whether that’s order entry, credit, IP approval, etc. we know when these items need to be checked off and start moving to the next milestone. Their system’s don’t always follow logic and that which could take place simultaneously only happens sequentially. As savvy as your IT team is, and as much as you may move your office, you don’t do it as often as a company like CloudOgre whose specialty it is to take the heavy lifting out of the IT piece of your move. We will coordinate your ISP, Voice, and Data Center move to allow your IT team to focus on your core business applications and managing users. In an industry that is inherently and necessarily monopolistic, there is a history of hyper competition for a somewhat commoditized service. Telecom mergers and acquisitions are heating up these days as I am sure Judge Green is turning over in his grave. 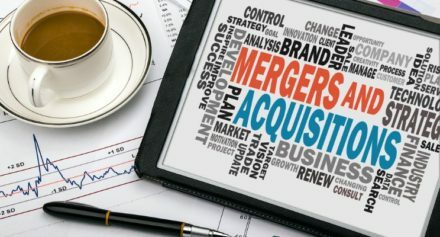 Today’s announcementof Earthlink and Windstream merging follows a string of such actions like the acquisition of Level3 by Centurylink, Verizon of XO, and Charter’s acquisition of Time Warner Cable and Bright House Networks. As a customer, there will be less competitors working to earn your business with all of these telecom mergers. There will be less customer service personnel to help field your calls when it hits the fan. Redundancies will be eliminated and sales people will be struggling to compete to keep their positions. Middle management will also be stuck in a weird position, telling people their jobs are secure while not knowing if their own position is impacted. What does this mean for the end user, the person that is responsible for keeping you network infrastructure up and running? With less competition, you can expect that key information will be more obscure. I’ve been in situations where installers, working at companies involved in telecom mergers, were so disgruntled with their change in employment they were more focused on getting a new job than completing the one they already had in queue. It’s possible that the consolidation would improve customer relations and I’d be happy to hear if that was anyone’s experience. I’ve lived through a fair share as an employee and a vendor. I’ve yet to see a successful merger of systems in large telecom providers and that is where the customer is really impacted. Ideally, these customers would merge and have full access to information and system integration to make ordering across networks more seamless. Phones wouldn’t need to port, billing would be seamless, they’d know where all of their network assets are, etc. Unfortunately, there are a lot of systems, especially when you add voice and cloud components which are extremely detail oriented. Knowing the systems are important however knowing the internal politics of organizations, who the key players are, and who gets things done is mission critical in a hyper shrinking environment like today’s telecom mergers. When it goes wrong, as it always does at the most inconvenient time thanks to Murphy’s Law, you want to get on the line with someone who can find out what’s happening and not wait in a queue for someone to get back to you. One thing is certain, people, not systems, govern activity in the telecommunications industry so knowing whose who becomes more valuable the more mission critical infrastructure is for your company.